A few weeks ago I had my eyes well and truly opened as to the above featured plant. I was enjoying a brief holiday in the Dolomites with friends and making a return to Bavaria via Austria and the high pass of Staller Sattel (2052m). It was Dieter Schacht’s suggestion that this might prove a rewarding detour and how right he proved to be. Having arrived at the pass, I navigated my way past some 50 or more Harley Davidsons and headed down the road to an adequate parking place beside a wee lake. The “eagle” eyes of Klaus Patzner spotted a few plants of Saponaria pumilio growing in the turf beside the road. 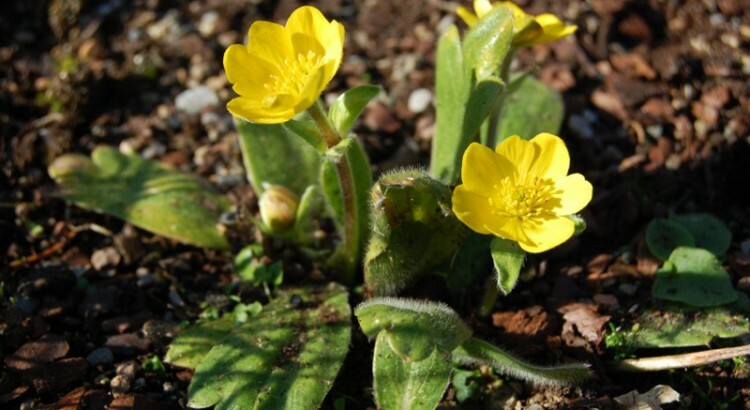 This alerted us to the fact that we were now well past the flowering time of our favoured primulas and pulsatillas that were prevalent on this acidic terrain and our attention moved to the alpine soapwort. We soon encountered fine specimens wedged between an unforgiving granite-like rock in a variety of habitats enjoying full exposure. On further inspection we were to find some exposed rocky mounds consisting of the deep tracts of beautifully drained gritty substrate supporting hundreds of perfect specimens of the above saponaria. We were simply spell-bound and nodded our appreciation at the power of “timing” and the curious beauty of nature. The species is native to the Eastern Alps and notably the summit gravels of the Austrian Hohe Tauern. It is fiercely calcifuges, forming shiny domes and mats the size of a domestic cushion. These great lucent domes emanate from just one central taproot. It is generally flowering from mid-July onwards and in its best forms has pale to deep-pink flowers which sit on dark red, baggy calyces. It can only be successfully propagated from seed but the closely-related hybrids which are more commonly available in the trade must be increased by non-flowering cuttings, generally taken after flowering. I would recommend planting this saponaria in a trough or raised bed in an open position, wedged between pieces of sandstone. 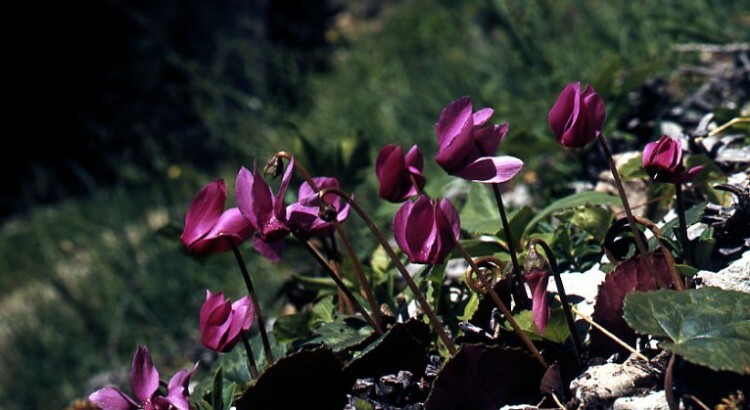 I can well recall when I first saw the SBEC introduction of Anemone trullifolia collected by Bob Mitchell and Roy Lancaster from that “El Dorado” for exciting alpine plants, Yunnan, China. It formed a vigorous planting in the acid-loving beds at the RBG in Edinburgh. The flower colour was fairly predominantly powder blue with a few whites. This species proved to be one of the finest introductions and today, there have been some highly superior cultivars raised, perhaps the best was raised by Elizabeth MacGregor (Kirkcudbright) named A. trullifolia ‘Indigo’. Several decades ago now, I had no expectation of a yellow-flowering form being introduced. In fact this variant had been discovered in 1914 by the great plant hunting pioneer, Handel-Mazzettii in the Yalong district, SW China. I suspect that there are some very fine forms of this species still to be discovered and subsequently introduced. A friend of mine had the good foresight to collect a pinch of fresh seed when trekking in Tibet and introduced this yellow-flowering variant which I offered whilst running Edrom Nurseries. It shows a differing habit to the more vigorous species, being slight of growth and having foliage of a softer, lime-green colour. A very fine form it most certainly is and I will try and re-establish it and see if it will cross with its parents! It is very easily raised from seed which should be collected when still green. Test it for ripeness by gently rubbing the seed follicles from its seating, if it comes away easily it is ripe. It should be sown at once and give the seed a generous covering of coarse, washed sand or chick grit. 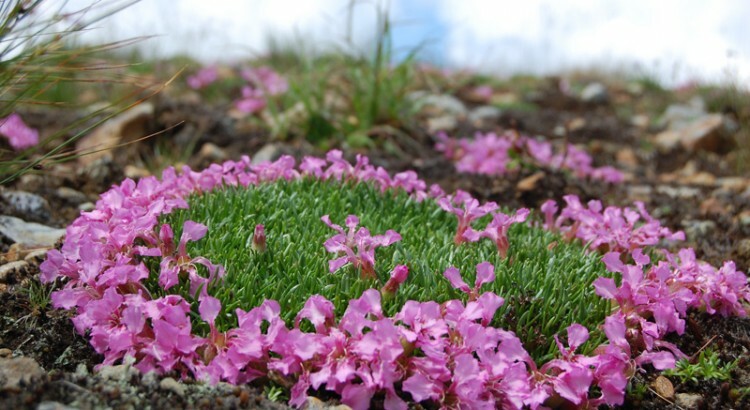 This plant will become more widely available and can be purchased from specialist alpine plant nurseries. I guess that the most widely grown of all erythroniums would be the hybrids including, ‘White Beauty’ and ‘Pagoda’. 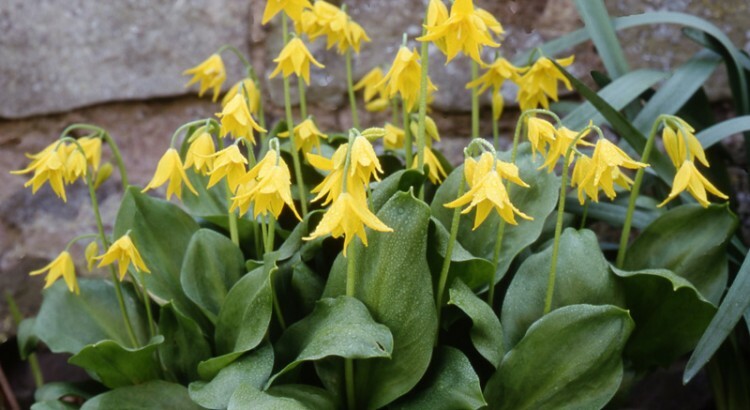 One often encounters mass woodland plantings of Erythronium revolutum due to its ability to set good quantities of seed, while the quite stunning E. tuolumnense is less often seen in gardens. The species in question here, is native to the Californian Sierra Nevada and is certainly only locally abundant, restricted to the Tuolumne County. It grows in open Chaparral (a unique shrubland community, endemic to this part of California and subject to wildfires) supporting a flora that is significantly summer drought-tolerant. The species can be found at an elevation of between 500m and 1100m preferring north-facing slopes. It is locally abundant and its formation of extensive clumps is noteworthy due to its ability to proliferate by vegetative increase from offsets. This is a feature that makes it an excellent garden plant as well its adaptability from dappled shade to a more open position. Having grown and enjoyed the species for many years, it was not until the latter years of my time at Edrom Nurseries that I was to make an important visit to the marvellous nursery garden of Diana Aitchison in Northumberland. A good friend and customer, Diana was now ready to retire and invited Ron McBeath and myself down to see if we would like a few special plants. We looked on in amazement at two particular plants that she had developed in different parts of her extensive garden. 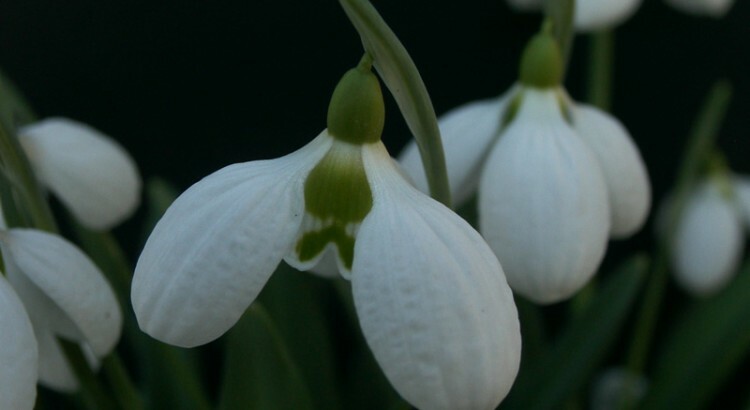 The first was the now, well-known plicate snowdrop, Galanthus ‘Spindlestone Surprise’. The other was an amazing clump of Erythronium tuolumnense. Ron had grown this for many years whilst working at Jack Drake’s nursery, yet we realised that this was a very special form or a hybrid. Anyway we were given a generous piece and the name E. tuolumnense ‘Spindlestone’ was borne. It has a more compact nature than the species and has a greater number of flowers on each nodding stem. The combination of bright green, glossy leaves and the yellow flowers is very special. It bulks up well in almost any decent garden soil and benefits from a generous mulch of well-rotted horse manure and leafmould. In my experience this plant is completely sterile and can be lifted and separated during the dormant season. PA recent visit to our daughter’s “neck of the woods” in Shoreditch, London ensured some fine exploration. One of the highlights was a walk down Columbia Road on the Sunday morning to enjoy the bustling flower market. I have seldom seen such a frenzy of activity as bunches of flowers, trays of sweetly-scented cyclamen and hundreds of Christmas trees were trundled off to people’s homes – bargains galore! A stark reminder of the season came in the form of some well-flowered potted plants of the Christmas Rose, Helleborus niger, I found myself studying each pot, in search of superior flowering forms. My parents grow their hellebores on the south side of the house in a well-drained bed and they regularly flower for Christmas. My plants flower much later and I put that down to, both aspect and variety. My early recollection of the diversity of this hellebore came when I carried out my apprenticeship at the Munich Botanic Garden. This is surely one of the most celebrated of Botanic Gardens in Europe and a careful search through the gardens in the winter and early spring will provide real reward. Let me give a brief introduction to this garden. It was founded in 1812 at the location of Karlsplatz, which is today in the core of the city centre, thronged with traffic, akin to Picadilly Circus. In 1910, Karl von Goebel, who was at that time the director of the old gardens in Nymphenburg, arranged to move the Botanic Gardens to the south-west outskirts of the city. Four years later the gardens were opened to the public and today, annually, a little under half a million visitors take a stroll, enjoying the varied landscape, vast array of plants and the simple recreation associated with a memorable visit. The overall area covered by the garden is 20 hectares and I have found that it is possible to make a good exploration of the tropical and cold glasshouse complex, together with the outdoor gardens, comfortably in a day. There is a very well-appointed restaurant and terrace in the garden to prolong the experience. During a short stay in Munich last winter (2011) I was able to thoroughly explore the garden and spent some time enjoying the area adjacent to the famous Alpine House. There were fine stands of snowdrops with some fine named-cultivars, along with Primula vulgaris subsp. sibthorpii naturalised in its full range of colours. A colourful array of Witch Hazel cultivars were tastefully planted with forms of Viburnum, including V. x bodnantense ‘Deben’. A wander round the Rock Garden was also full of surprises, despite the fact that it was still protected by its winter cover from spruce branches. I found some fabulous forms of Helleborus niger, seeding about in an orderly manner, along with its geographic variant, H. niger subsp. macranthus. 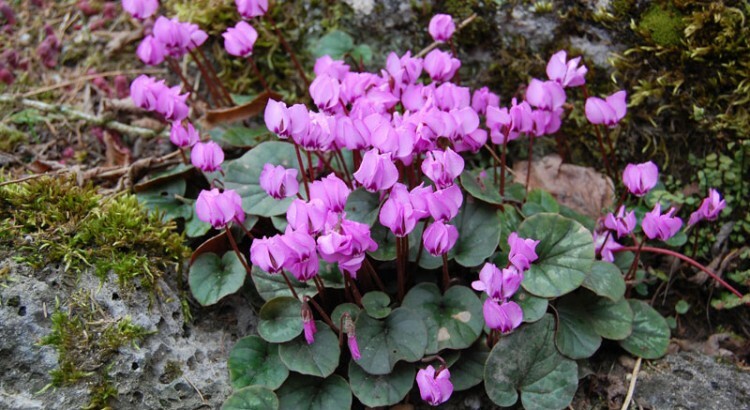 Cyclamen coum was outstanding in its best forms and the slugs had temporarily avoided the over-wintering buds of Adonis amurensis and the flowering clumps were of outstanding quality. This is just a “taster”, please make a trip to this vibrant city and be sure to visit this beautifully designed garden, whatever the season. Two plants that never fail to give me some winter cheer, include, Chimonanthus praecox and Galanthus plicatus ‘Three Ships’. Chimonanthus praecox or “Wintersweet” is, in my experience, a deciduous, winter-flowering shrub but is often described as semi-evergreen. A native of China, I would recommend planting this species on a sunny wall that is afforded some protection from the severest of frosts. When planted close to your house, the fragrant flowers maybe appreciated at close quarters or the bare stems maybe cut when the flowers are still in advanced bud and they will open indoors. On closer inspection the individual flowers consist of two sets of petals, the outer ones a lovely shade of lemon-yellow, while the inner petals are streaked with reddish-purple. I would recommend training the shrub against a wall and patience will be a virtue, as the specimen will take several years to flower. The better the treatment it is given the quicker it will flower and this would include a generous mulch of compost/well-rotted manure in the spring. Care should be taken not to prune until it is well established as a flowering shrub and then only remove old and crossing wood (or reduce new growth back to two buds, after flowering) as it flowers on mature wood. Galanthus plicatus ‘Three Ships’ commenced flowering with me a good week before Christmas, this year (2011). This is a superb form of the species, aptly named (after the famous carol), as it generally flowers for the Christmas celebration. It is rarely offered and when it is, it will be justifiably expensive. The chance form was discovered by John Morley (of North Green Snowdrops) under an ancient cork oak at Henham Park, Suffolk in 1984. I find it to be a “good-doer”, when planted in an open, sunny position and given a generous top-dressing of very well-rotted horse manure after flowering. It is large-flowered and the typically plicate, glaucous foliage makes this a very desirable plant. As this is a time of the year to begin promoting these marvellous gentians, I felt it would be useful to recommend one to contrast with my “plant of the month”, G. ‘Shot Silk’. Since it is now very challenging to source the true species, Gentian farreri which is one of the few members of this Ornatae Series that will tolerate a measure of alkalinity, I am delighted to recommend this cultivar. It was the late Alex Duguid, from whom my parents bought Edrom Nurseries in 1979 and he grew the type species for many years prior to my taking over the nursery. I obtained material from that famous nursery in the Cotswolds, Joe Elliott of Broadwell Nursery and grew the plant for several decades in a “hypertufa” trough. The recommended cultivar has a good measure of G farreri blood in it, but the neat, compact nature and ability to bulk up readily suggests some influence from the closely related species, Gentiana ternifolia. This is purely speculative and not based on any scientific study. It has pale blue flowers (hence the contrast), lime-green foliage and compact trailing stems, rooting as they go along. 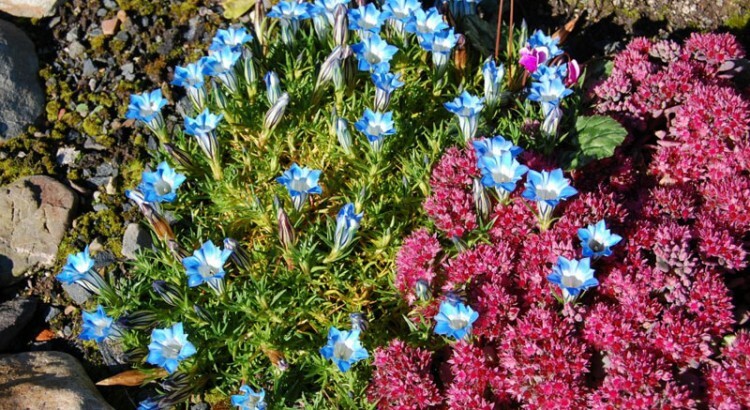 It is very easily propagated and should prove to be a very popular cultivar with little challenge to the grower of these gentians. A recently raised cultivar showing similar promise is one raised by Aberconwy Nursery: Gentiana farreri ‘Silken Star Group’. One of the thrills of botanising in the limestone ranges of Europe is to find the sweetly scented Cyclamen purpurascens. It can be found in, both deciduous and mixed deciduous and coniferous woodland flowering over a lengthy period from June through to August. I recall finding it, in fine form in coniferous woods on the steep slopes above the shores of Lake Garda. Whenever I came upon it I would be down on my knees, savouring the strong perfume. I have also found it growing in more open sites on rocky embankments in the Karawanken range, as well as in the foothills of Triglav. The dark rose-red flowers vary little (with a few washed-out pinks, occasionally spoiling the show), in my experience, but the kidney to heart-shaped foliage is extremely variable and may sport some conspicuous leaf markings, at their best even silvery in colour. If growing plants can be purchased, choose your forms carefully. You may be lucky and come on an albino form for which a higher premium will be asked! Dry corms will take a while to establish properly although I find that they settle down well when acclimatised in sand to begin with. Cultivating pot-grown plants is significantly more straightforward and I certainly prefer to plant it amongst pieces of rock (preferably Dolomite limestone) in a humus-rich soil in part shade, perhaps on the leeside of a shrub or amongst the dwarfer members of Pinus mugo and P. strobus aggregate. Watch out for the mature seed capsules, which take a year to ripen and you can either sow the seed or distribute it around the plants. I have yet to succeed in collecting seed and the tubers are not yet mature enough to expect a natural self-seeding. Patience is a virtue with this species and a regular mulch of well-rotted beech leaf mould mixed with pine litter will help plants to bulk up. The pictures will show how patience is rewarded. Campanula raineri will rank as one of the finest of all the truly alpine campanulas, native to Europe. It is native to the upper limestones of the Bergamask mountains near the Italian lakes. Although this species is an absolute lime lover in nature, it is easy of culture in the garden. It is best positioned in a trough or a raised bed where the neat tufts of ash-grey foliage become hidden by the enormous upturned cups, a pale china-blue colour in late June and July. It prefers to grow in cooler exposures where it will spread out by side runners and I would therefore choose a position which is afforded a little shade, perhaps planting it on the leeside of a piece of tufa rock. A word of caution! This campanula is the favourite diet of slugs which must be kept at bay. The great Alpinist and Yorkshireman, Reginald Farrer wrote, “the flowers are a waxy-smooth texture and a radiant charm of serene and unconquerable beauty impossible to express”. Well, he didn’t do too badly with his description, one I most certainly agree with. The plant is easily propagated from seed or by carefully detaching one or two underground runners from the parent plant and potting them up in a John Innes No 2 compost with some extra gritty sand. A fine form of the species is occasionally offered, by the name of C. raineri ‘Gothenberg’. As we leave a wonderful month of weather during April, I cannot help observing that many plants are flowering several weeks earlier than in recent years. This is no more significant than in the genus of Meconopsis. This year as April closes a cultivar of Meconopsis, M. ’Mophead’ has already finished flowering and another six are well along the way. My choice of “one to look out for” is perhaps one of the finest of all the Himalayan Blue Poppies, M. ‘Mrs Jebb’. I first obtained this plant as a gift from my good friends, Margaret and Henry Taylor. This was in turn a gift to them from the late Molly Sanderson of N. Ireland. As soon as I saw this plant flowering, over 15 years ago, I recognised a close affinity to plants that I had raised from seed for a number of years, M. ‘Crewdson Hybrids’. This was a highly variable strain of hybrids bearing all the hallmarks of MM. betonicifolia and grandis. This though, was probably a selection from this strain and in recent years another selection has been given the name, M. ‘Crewdson Hybrid’. Far away the best of the crop, though, is ‘Mrs Jebb’ and not surprisingly this cultivar was given an Award of Merit (AM) by the RHS in 2006. This is a sterile cultivar, in that it sets no seed at all, so propagation must be carried out vegetatively and of course all the resulting progeny will be identical. I find that the time that suits me best and works satisfactorily is just as the plant comes in to growth in the spring. The clumps ought to be about three years old and should never be lifted and divided when dry or under stress. Soak well before lifting. I am enchanted by the western counterpart of the ever-popular Trillium grandiflorum with which most of us associate all Trilliums, the world over. T. ovatum is native to C. California and its territory runs right up north to Vancouver and British Columbia. Although the two related species are geographically well and truly separated, they could be confused in the garden. I have come across two distinct forms in cultivation and one of the finest stands I have ever seen is in the woodland landscape at the Royal Botanic Gardens in Edinburgh. My accompanying picture was taken there. Cultivation is really quite straightforward. A good depth of decent, well-drained soil enriched with extra compost and leaf mould will suit well. I would plant all trilliums in a partly shaded spot and ensure that, despite the need for deciduous shade the soil will dry out during the growing season. Propagation is possible from freshly-sown seed, followed by a measure of patience! A special form should be divided up carefully during the dormant season. You will need to search carefully for available plants and I would recommend making contact with the following nurseries to discuss availability.